Total length of 2218 kilometers with 78 stages. Win was 3rd win and 4th podium for Timo Makinen. Second place was 2nd podium for Stig Blomqvist. Third place was 4th podium for Sandro Munari. Win was 4th win and 7th podium for Ford. Second place was 4th podium for Saab. Third place was 5th podium for Lancia. 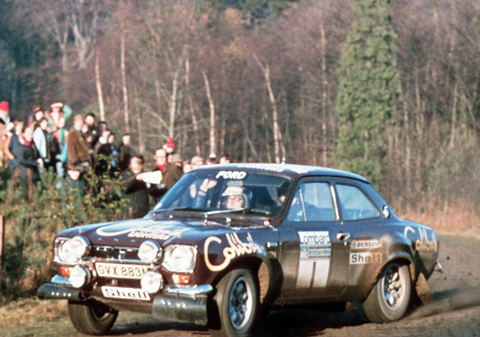 Though Stig Blomqvist won more stages by far, old master Timo Makinen led comfortably and bagged yet another RAC win. 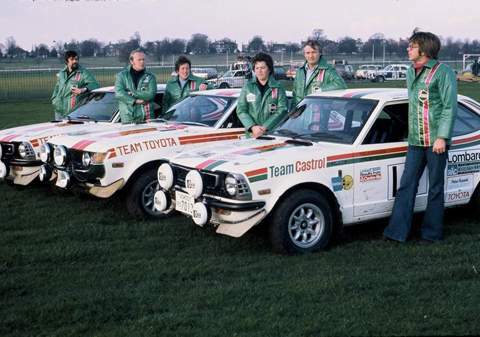 Toyota entrants (l-to-r) Thorszelius / Waldegard (#9), Moss-Carlsson / Crellin (#37) and Andersson - Hertz (#14). Waldegard finished 4th overall.